If there is one show that left the entire nation holding onto their breath, it is Saif Ali Khan and Nawazuddin Siddiqui starrer Sacred Games. The Netflix original series which left everyone hooked to the story of Mumbai’s gangster, Ganesh Gaitonde who commits suicide but also leaves Inspector Sartaj to discover the secret associated with Trivedi. The first season broke all records and was one of the most watched original series in India. A while back, the makers shared a trailer of season 2 without revealing the date on which the second season will air. Today, Netflix shared the prospective date on which Sacred Games season 2 will go on air. Without directly revealing the date of the show, the makers shared, “Calendar nikaal. Tareekh likh le. 14 din mein kuch bada hone wala hai.” The tweet surely left the fans guessing whether the season will be released in the next 14 days or is it related to something else. Well, whatever the case maybe, fans of Saif Ali Khan and Nawazuddin Siddiqui can’t wait to see the second season. Meanwhile, Saif has been spotted several times in the city while shooting for Sacred Games season 2. His photos surely added to the excitement of the fans. Earlier, there were talks that the makers might not make the second season but all the rumours were snubbed by the makers. 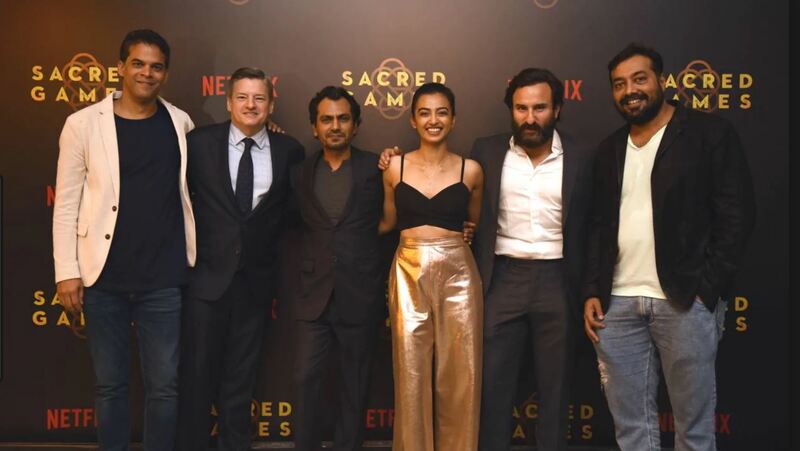 Directed by Anurag Kashyap and Vikramaditya Motwane, Sacred Games is based on Vikram Chandra’s 2006 novel of the same name and the first season starred Radhika Apte, Kubbra Sait, Jitendra Joshi, Neeraj Kabi and Pankaj Tripathi in pivotal roles.